Fluoxymesterone (Haloplex) is an androgenic steroid that is only useful to a small select group of athletes who seeks very specific goals. Athletes tend to use it to increase strength and aggression in the gym or in competitions such as strongman contests, fighting (like boxing) or MMA. The lack of estrogenic activity makes Halotestin perfect for pre-fight usage - as weigh-ins would not be effected by water retention. Even in such an events, Fluoxymesterone usage is usually limited to mere few weeks rather then cycled like real steroids for months. Fluoxymesterone (Haloplex) has poor binding to the AR. Studies have shown the effects to be mostly non-AR mediated. However, it is considered a very toxic oral drug, and a poor choice in most bodybuilding/steroid use applications. 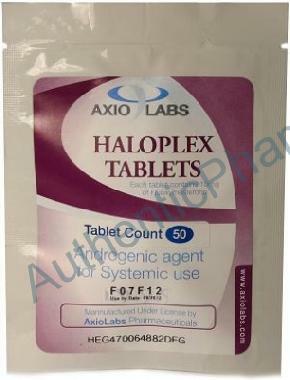 The half life of Fluoxymesterone (Haloplex) is commonly misunderstood. The rumored belief is that 30-90 minutes is the half-life but this rumor is false, the half life of Fluoxymesterone is about 9.5 hours.